Rising numbers of expats in South Korea are driving major companies to hire more foreigners in order to communicate with them. 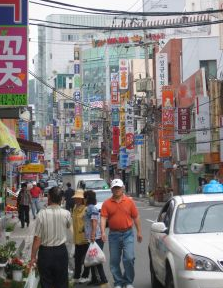 As the number of foreigners living in South Korea supasses 1.1 million, more companies are attempting to reach them. The drive to communicate more often and effectively with these expats has caused many large Korean companies to hire more foreign workers. KT is South Korea’s largest fixed-line service provider and is taking the lead in introducing tailored services for expats. These services include a Twitter account that runs alongside their two Korean language accounts. The English language account has over 1,700 followers, indicating the need for English or foreign language services. The company has also created a blog which provides consultation services in English, Japanese and Chinese. The company also has a global store, which is an official service outlet for foreigners, and a customer service center for them in a bid to gain a larger share of the expat market, which is most likely to expand. Telecommunications company KT isn’t the only one getting in on the act. IT giant Samsung Electronics is running a call centre supported in three different languages – English, Chinese and Vietnamese. There are also around 1,000 foreigners working for Samsung in a flagship electronics arm in Korea, and this number is rising, according to a Samsung official. The hiring of foreign nationals is also a trend seen in the banking and distribution industries. Major banks such as, Hana, Shinhan and Industrial, increasingly hiring expatriate staff. Hana Bank has 19 foreign employees working in branches nationwide. This hiring period they also took on seven new foreign employees, four from China and one each from the U.S., Canada and Australia.